QUESTtalks is a series of regional networking and accelerator sessions designed to help you stay competitive in the growing Smart Energy Communities marketplace. 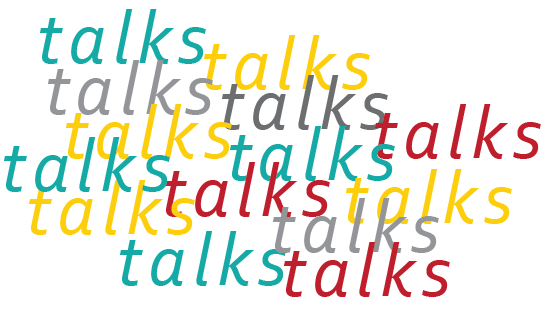 QUESTtalks – Disruption and the Smart Energy Solution brings together leading-edge experts from governments, utilities & energy service providers, the building and development sector, and the product and professional service sector, among others to examine the issues disrupting your market and community. Register to prepare your business to adapt to the changing energy and infrastructure marketplace. 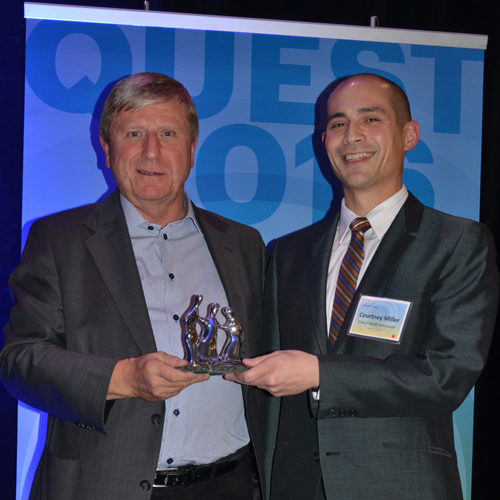 As part of the annual QUEST Conference and Tradeshow, QUEST hosted Smart Energy Communities Awards from 2012 until 2017. In order to focus on sharing of regional and local challenges and opportunities, in 2018 QUEST brought this traditional annual gathering to communities as a series of regional events called QUESTtalks. 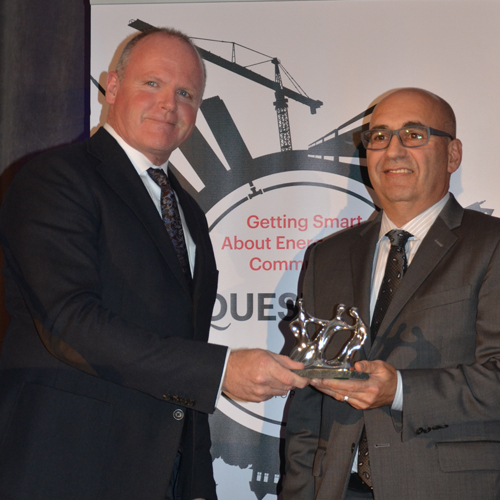 Stay tuned to the QUEST newsletter for more information on the evolution of the Smart Energy Communities Awards. 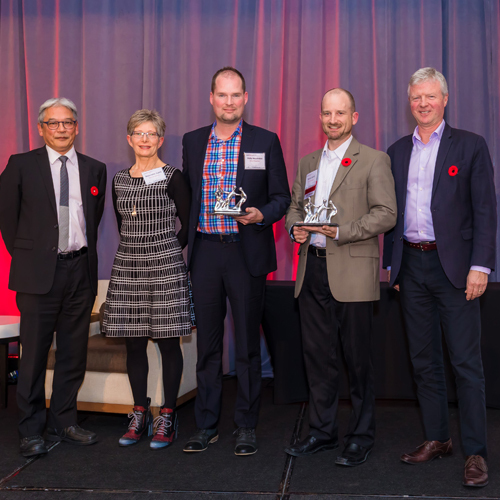 Recognizing leadership and innovation in advancing Smart Energy Communities in Canada. 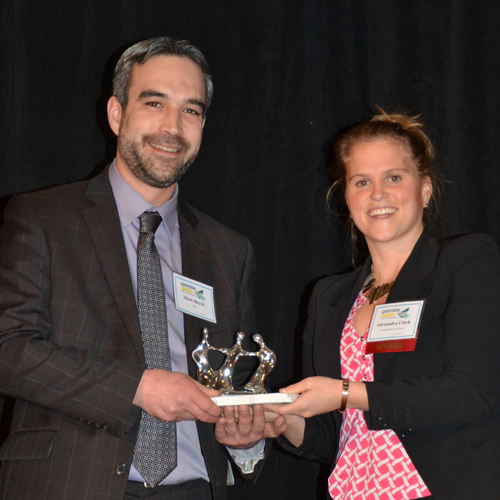 The City of Saint John for their Municipal Energy Efficiency Program (MEEP) – a performance based systems approach to environmental sustainability, fiscal accountability, and social improvement that includes 152 municipal and commission buildings. For the West5 community in London, Ontario – a 70 acre community with 2.5 million square feet of mixed-use buildings master planned to achieve net-zero energy on a community scale. For the Energy Star Most Efficient mini split ductless heat pump rental program – the first of its kind in Canada. For the Moodyville showcase community, an area-wide rezoning of historic Moodyville where all new development must achieve high energy performance, with over half of the homes expected to achieve passive house certification. For the Savings by Design Program – created to assist builders design and construct buildings and houses with higher energy performance. For its emerging Guelph Energy Efficiency Retrofit Strategy (GEERS) as a major component of its Community Energy Initiative. 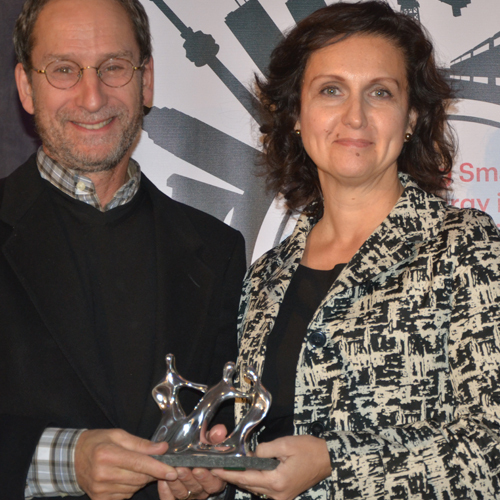 Finalists in the Local Government category were the City of Hamilton (Ontario) and The City of Toronto (Ontario). For the planned integration of combined heat and power at the ENMAX district energy centre which will provide savings of 14, 288 CO2 equivalent, which is equivalent to taking 2008 cars off the road annually. 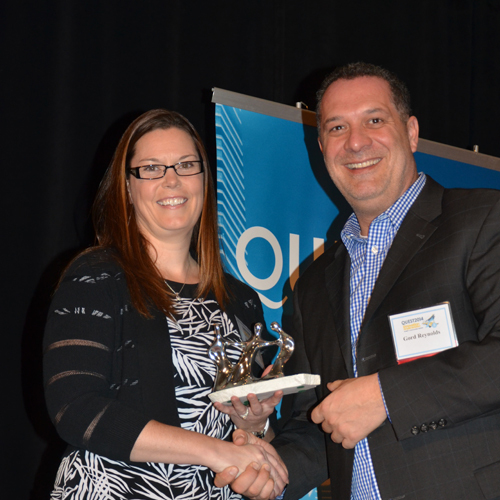 Finalists in the Utility & Energy Service Providers category were Algoma Power and Sustainco. For the Eddy Condominium which offers six storeys of green, urban condos that set new standards for architecture, design and smart, healthy living in Ottawa, and which exceeds energy efficiency standards by 50% and incorporates a geo-exchange heating/cooling system. Finalists in the Real Estate Sector category were Stanton Renaissance Ltd. and Reid’s Heritage Homes. 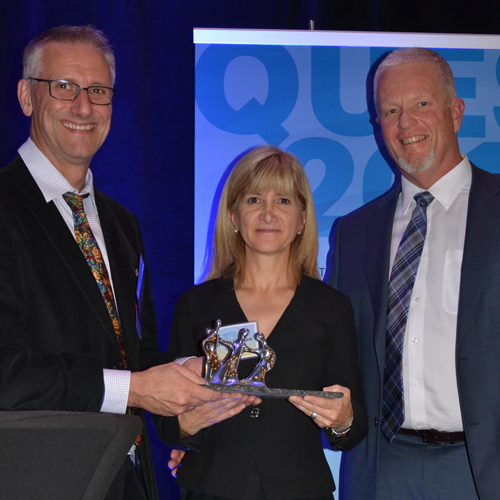 QUEST congratulates the Winners and Finalists, and thanks all the many excellent nominees for their work in advancing smart energy communities in Canada. 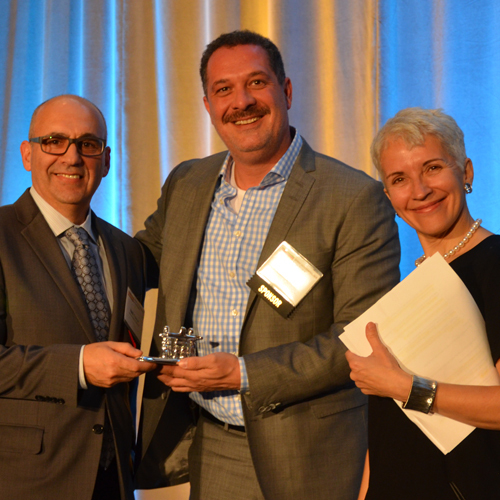 We look forward to hearing from you again next year for the 2016 Community Energy Builder Awards! 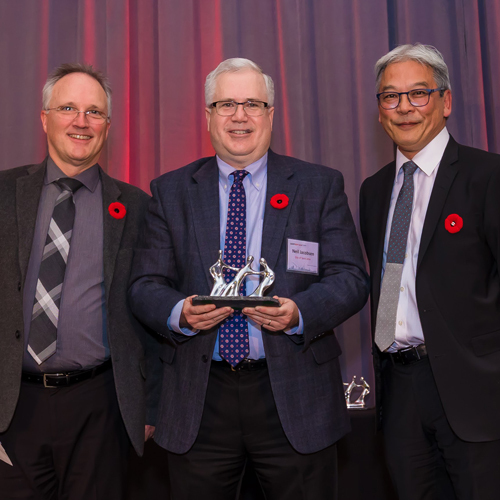 We would also like to extend a thank you the 2015 Community Energy Builder Awards Selection Committee and to Ken Ogilvie (bio), for serving as Committee Chair. For successfully completing a 10-year community energy plan and exceeding greenhouse gas emission reduction targets by 100%, in part by converting from oil to renewable wood-pellet burning heating systems. Runners-up in the Local Government category were the City of Guelph (Ontario) and The City of Colwood (British Columbia). For building and commissioning the first segment of the Galt District Energy System, implementing seven solar energy facilities and a small-scale combined heat and power system, obtaining approval for a forthcoming large-scale combined heat and power facility, and qualifying to develop biomass projects. 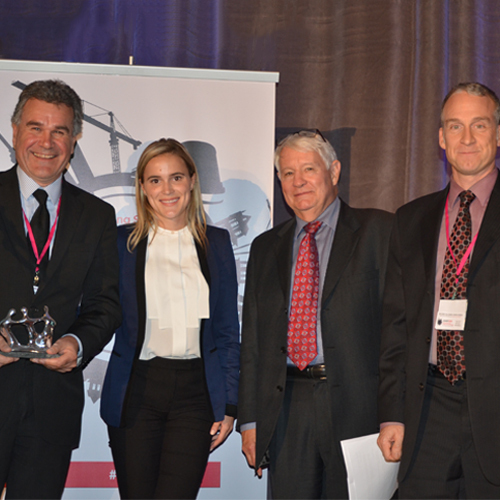 Runners up in the Utility category were PowerStream (Ontario) and Union Gas (Ontario). who in partnership with TELUS Communications, are building the “TELUS Garden” property, which includes a 22-story LEED-Platinum office tower as well as a small district energy system that captures waste heat from an adjacent TELUS data centre and uses it for space and water heating. 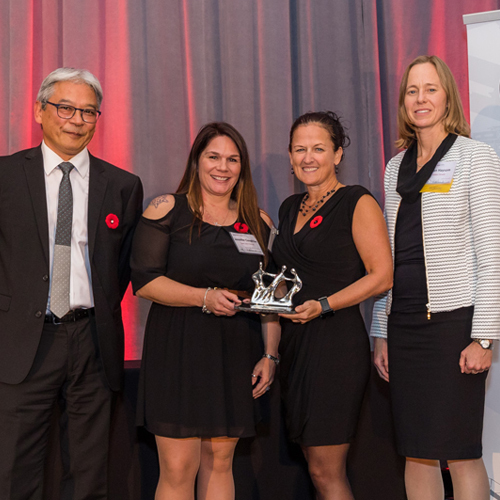 Runners up in the Real Estate Sector category were Wesgroup (British Columbia) and Cadillac Fairview (British Columbia). 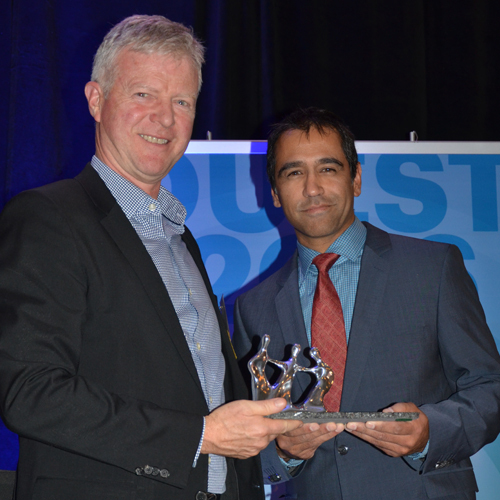 QUEST congratulates the Winners and Runners Up, and thanks all the many excellent nominees for their work in advancing smart energy communities in Canada. 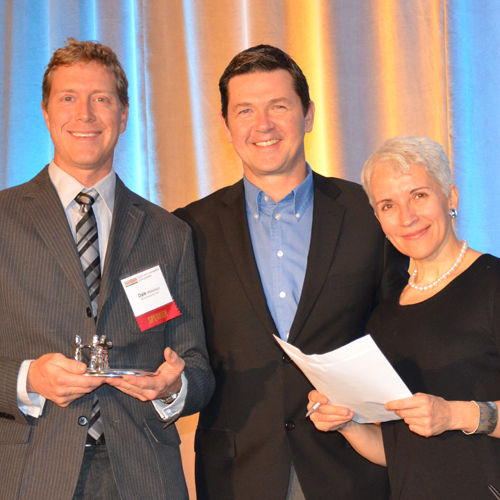 We look forward to hearing from you again next year for the 2015 Community Energy Builder Awards! For the development of a district energy system in its downtown core and the largest Organic Biofuels facility in Canada which will turn organic waste into renewable natural gas. 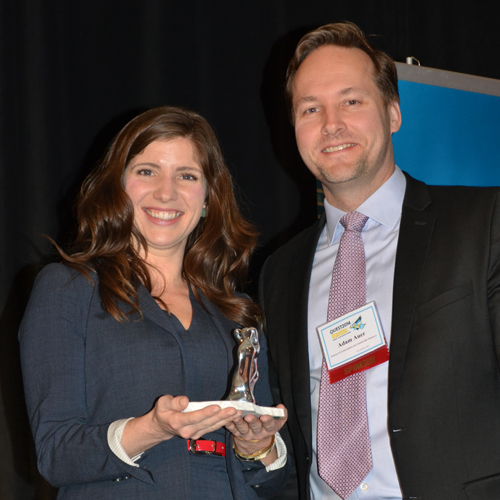 Runners-up in the Local Government category were the City of Guelph and Halifax Regional Municipality. For its Energy Conservation Mapping Program which helps target conservation initiatives in its territory and for its Smart Growth Connection Policy which incentivizes compact urban development. 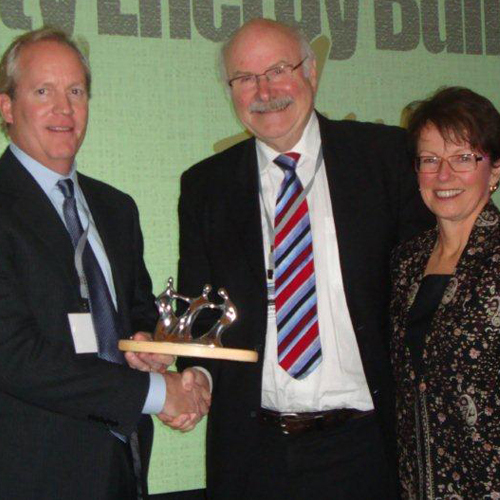 Runners up in the Utility category were BC Hydro and Enbridge Gas Distribution. For connecting 5 buildings to a burgeoning biomass-fuelled neighbourhood district energy system at the UniverCity development in Burnaby, British Columbia. Runners up in the Real Estate Sector category were DEC Engineering and Minto. For its comprehensive plans to redevelop the Southwoods community in Edmonton, Alberta, increasing density and integrating energy using Combined Heat & Power generation, borehole thermal energy storage, and a micro smart grid power system. Click here to learn more about the Southwoods Development. Municipality of Ritchot, Manitoba, for its completed Ile-Des-Chenes project which includes a new 30,000 sq. ft. LEED Silver Community Centre and a district geothermal heat pump system that interconnects the facility’s three buildings. The City of Surrey, for its plans to install the largest Organics Biofuel Facility in Canada which will produce renewable natural gas from city waste and use it to fuel the municipality’s vehicle fleet, in addition to a number of district energy projects. 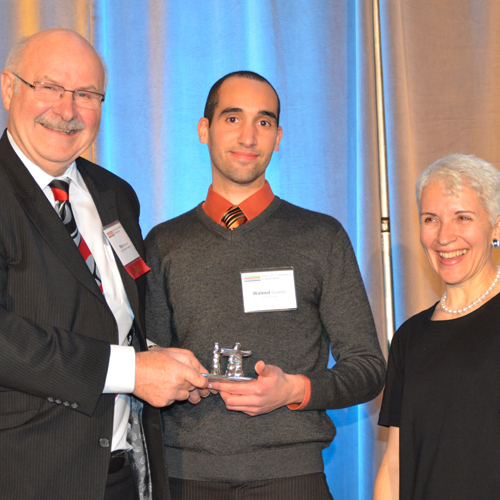 The Winner of the 2012 QUEST Community Energy Builder Award was announced at the QUEST GALA Dinner & Awards Ceremony, November 20, at Manitoba Hydro Place in Winnipeg.